Guests will be responsible for NYS sales tax, gratuity and beverages the night of. 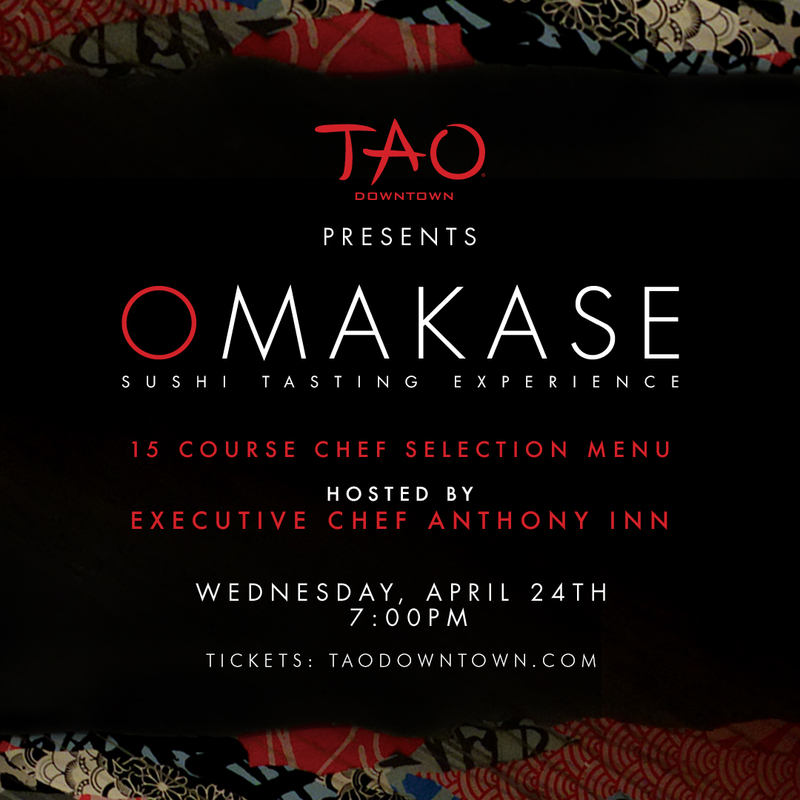 Take a journey to Japan alongside Executive Chef Anthony Inn with TAO Downtown’s first ever Omakase Tasting. Begin your experience with a cold and hot appetizer, followed by 12 individual pieces of seasonal nigiri, finishing with dessert. Enhance your experience with a 3-style sake flight pairing! Please arrive on time as the tasting will begin promptly at 7:00pm. We kindly ask that you remain seated for the duration of the tasting, which will last approximately 1.5 hours. Guests who arrive late or depart during the tasting, may be subject to forfeiting courses missed.